Krystal Klear captures the essence of NYC’s underground music culture with Danceteria / Keith Haring released 27th February on his own Cold Tonic imprint. 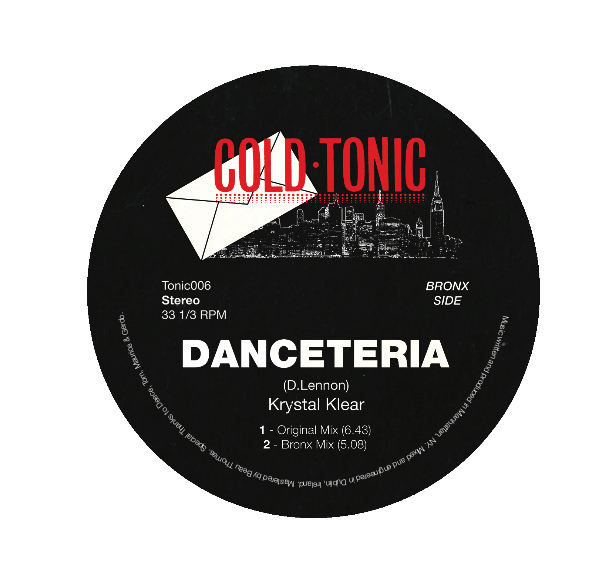 Krystal Klear has released on All City Records, Rinse, Eglo, MadTech, and Cold Tonic. He also curates a monthly show on Rinse FM while Djing the most exciting clubs around the globe. From his roots in Dublin to attending the star-studded Red Bull Music Academy in Madrid, Krystal Klear’s signature productions blend early-days NYC dance music with a forward- thinking sensibility. “No matter an individual’s social status, sexual orientation, colour or creed, there was always explicit enjoyment and inclusivity within the musical surrounding”. On the flip, inspiration is drawn from the artist and social activist Keith Haring whose signature style of evocative and fluid artwork spearheaded NYC’s creative cultures. ‘Danceteria’ launches the EP with momentous drum programming, followed by a lively bass and swells of romantic chords - up until the euphoric ‘Bronx mix’ alternative provides playful samples and high-octane rhythms. ‘Keith Haring’ uses textured arrangements and funk-inspired melodies beneath snappy drums for a soulful R&B aesthetic. The ‘Downtown dub’ version closes the EP with nostalgic electronic piano and a gliding bass line, beneath popping synth stabs. ‘Danceteria / Keith Haring’ draws from NYC’s rich dance music culture and is certain to be a success in the club just as much as it will be for fans beyond too.